Not often do I come across non-fiction books on Creatures of Nature, not targeted for children, that manage to capture and impress both the 3 and the 6 year old. And, blow me away at the same time. Well-known sound recordist, writer and photographer Lang Elliott has exercised his magic all over us, or rather, I should say his Song Birds have. This book and CD combination is a treasure for bird lovers, especially lovers of song birds native to North America. The Songs of Wild Birds book has full page photos of 50 native songs birds, with one page description of each of the birds' calls and habits. That in itself might not have held the attention of the 3 year old, but the accompanying Audio CD certainly did. 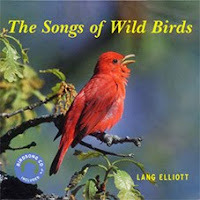 With his gentle voice and unassuming tone, Lang Elliott introduces us to the world of beautiful music in nature, made by the wild song birds. When I was young, song birds used to conjure up images of nightingales, warblers, jays, singing melodies somewhere out in the wilderness, even if I had no idea what the birds looked like other than the illustrations I had chanced upon in rare picture books. Thanks to Ana's teacher, who pointed us to this book, both Ana and Og have actively learnt about some of the native birds, why they sing their songs, what exactly is their song, and how to identify some of the birds and their calls. Judging by the fact that from the first week of June to-date of listening to the hour-plus CD daily in part or whole - either during commute or at bedtime, or simply for an afternoon Quiet Time, along with the book in hand turning the page to match the bird that Elliott shares in the CD - I am convinced this book sure seems magical to my 6-year old. And, when I hear, "That looks like a Common Loon, Mama" or, "I think I heard a Red-Tailed Hawk screech, Mama" from the 3 year old when we are out in the trail nearby, I smile quietly, thanking Lang Elliott for introducing my kids to something beautiful. Even if there are no Red-tailed Hawks nearby and it was probably the call of a jay. What is your favorite bird call? has been a frequent question at home for the past few weeks. And the kids' answer changes week to week depending on the mood. "My favorite is the Black-throated Green Warbler, Mama" says Ana, while Oggie chimes in, "My favorite is Barred Owl, Mama, he says Who Cooks For You?". And sure enough, Lang Elliott makes it easy to remember some of the distinct sounds of these wild birds by providing a verbal/textual equivalent. What's mine, you ask? Well, of the 50 bird calls from this book, the call of the American Bittern seemed the most fascinating. 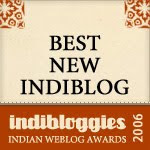 The sound-recording in the CD is amazing - the oong-ka-choonk is so unique that it is hard to mistake it for any other call. And, the fact that the American Bittern is fondly nicknamed "thunder pumper" makes it hard to not pick this as my favorite. The most surprising call? That of the Puffin. I expected a softer more shore-bird-like sound but instead were treated to the whirring of a chainsaw. "It makes a funny chirping sound. The movie people got it wrong. They play a screeching scary bird call and show the bald eagle up in the sky. It is actually the red-tailed hawk that makes that screeching sound. Red-tailed Hawks often fly near where Bald Eagles fly". Lang Elliott has brought out many books along similar vein. Visit Lang Elliott's Books site for details. Along with his friends he has established a non-profit called The Music of Nature, which is, "dedicated to celebrating nature through the presentation of powerful media, especially high definition videos, sound recordings, photographs, and associated text." Wow. I would love to lay my hands on a book like this. It has been a riot of bird songs near our place.